HTC is reportedly reducing its dependence on hardware from Samsung Electronics, following Apple's lead. DigiTimes reported HTC is switching its orders for CMOS image sensors to OmniVision and Sony. The Korea-based manufacturer also lost HTC's orders for AMOLED panels to AU Optronics (AUO), according to industry sources. HTC won't abandon Samsung completely just yet. The smartphone vendor will still rely on Samsung to produce some of the AMOLED panels it needs. HTC is concerned if AUO will be able to keep up with demand for the display panels at first. HTC has also purchased Super LCD panels from Sony for its mid-ranged and high-end smartphones since the late half of 2010. So the move doesn't come as a huge leap. No word yet from HTC on why it dropped some of Samsung's hardware from its smart devices, as it has yet to reply to TechRadar's request for comment. The move comes after Apple started buying parts from other manufacturers, reportedly because of risk control. The recent court battles between Apple and Samsung probably had something to do with it as well. 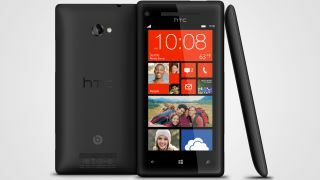 Last month, HTC announced its Windows Phone 8X will be the flagship platform for the Windows 8 mobile OS. Though the two tech giants stopped buying parts from the Korean supplier, one shouldn't worry too much about Samsung's future. It just spun off its LCD business, Samsung Display, to form the world's largest display manufacturer. Samsung has also seen "huge" orders for new flexible OLED displays. The twistable displays are similar to AMOLED panels except they are bendable and nearly indestructible. Samsung representatives said the displays should release sometime near the end of 2012, but there have been reports of delays. Yield problems have delayed the flexible LEDs until the first half of 2013 at the very earliest. But there is no telling if we'll get bendy phones that early. Until then Samsung's future may be a bit wobbly.